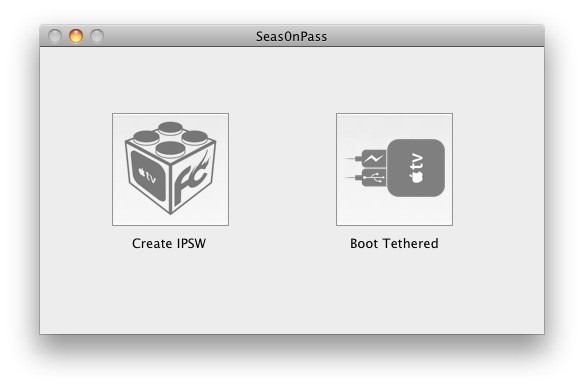 Seas0nPass is probably the best Apple TV 2 jailbreak and it has been updated to work with iOS 4.3. The latest iOS is well worth installing on ATV2, it brings AirPlay support, has MLB.TV and NBA live streaming, and includes Netflix surround sound. Sounds good huh? The only downside is Seas0nPass is currently a tethered jailbreak (learn about tethered vs untethered jailbreaks), but if you tend to leave your ATV2 running all the time you won’t need to do this often. Once the AppleTV2 has been booted using Seas0nPass you can disconnect it from your Mac, do not disconnect power source or you will have to reboot tethered again. If you want to get the most out of your jailbreak, try installing XBMC on the AppleTV 2. Since you have already jailbroken your ATV2 you can skip that first part and just go straight to installing XBMC. Plex is what you need. Mutch easier to install and if you already have a plex machine running you will get all you need streamed to your TV. Sweet. Not sure if anyone else was having a problem with their Micro USB not being recognized. What I did was unplug my power supply to the ATV2 and only leave the Micro USB connection. Worked like a CHARM!!!! Anyone lose Netflix after jailbreaking? Everything works fine on my ATV2 but I do not have netflix. I have just bought a new Apple TV2 firmware 4.3. Before adding aTVFlash, I need to jailbreak… but it seems like seasonpass will automatically update with version 5. How do I keep version 4.3?